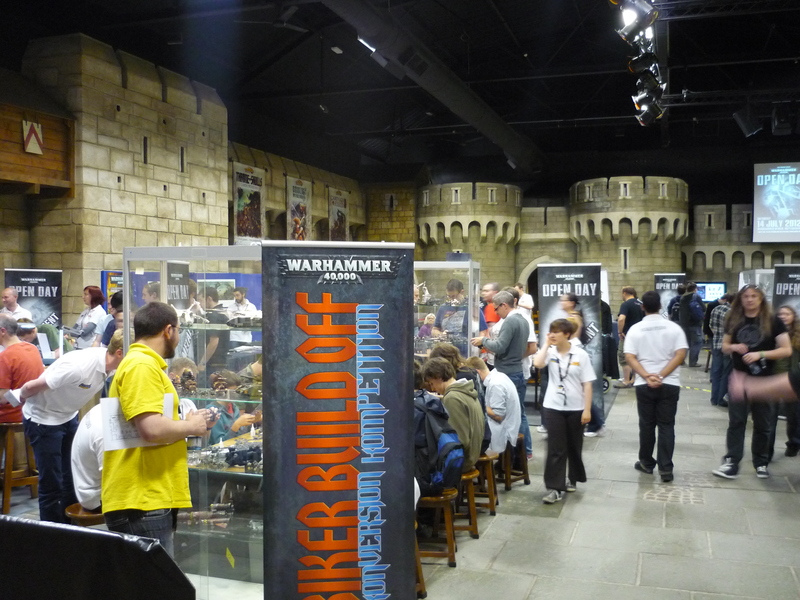 Saturday 14th July 2012 after the launch of the latest edition of 40k, Games Workshop ran an Open Design day. I saw this as a great opportunity to pick up some signatures for my collectors edition of the new rulebook. Now before I go on, let me state that a number of these pictures are from a friend who came with me (thanks Greg), I, even had my camera with my but as I don’t take it many places I just didn’t think to take pictures! 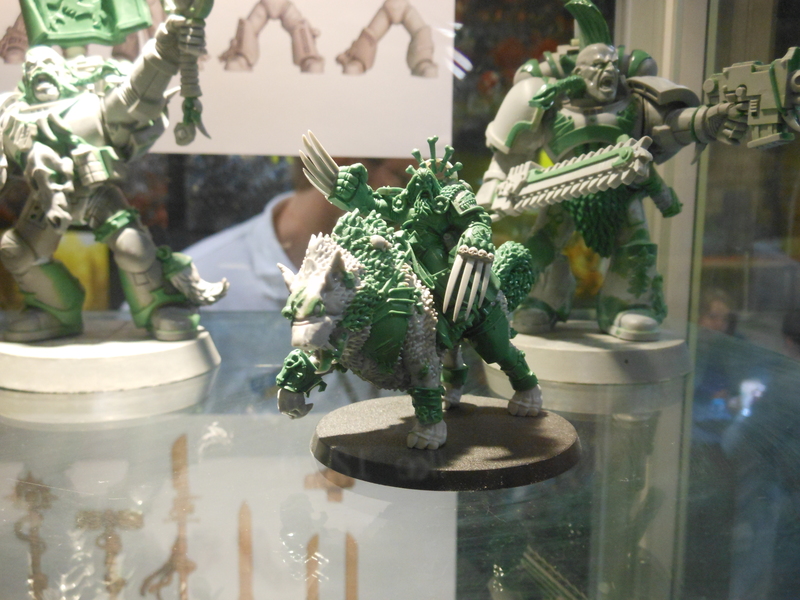 I did a few of the models etc, but nothing of any real interest as to what was going on. After being directed to park up, we made our way into the Warhammer World building and were greeted by a couple of staff who replaced our tickets with wrist bands. At this point sprung upon us were choices for which seminars we could attend during the day. Let’s say we were very surprised at this and luckily for others trying to get in there wasn’t a mass of people being held up. This wasn’t so well handled. We umm’d and arrr’d and made a few decisions after which we were told we could pop down and pick up another seminar voucher if we changed our minds. After going around and looking at what there was, we started to talk to a few people. First we talked at a couple of sculptors. One was working on creating a total new model. I don’t what who he was, or what the model would be (Page 159 – middle picture) but he did say it was be quite hard because the picture was 2d. I asked what concepts they got and he said that depends on what they’re creating. Normally all weapons would be drawn for them to sculpt but some models themselves would just be some basic sketches and they would be allowed to create the model how they saw it, assuming it was in the spirit of what was needed. We then spoke about why Plastic models are creating ‘3 up’. I was given two answers, but the basic was that when creating the stainless steel moulds they had to be careful that there were no sharp points on the sides, and for the details that were needed, they were best created larger and shrank down by a computer to the correct size. It did say that a normal 28mm model can take a few weeks to sculpt and that a 3-up model a lot longer and a lot more sculpting putty. 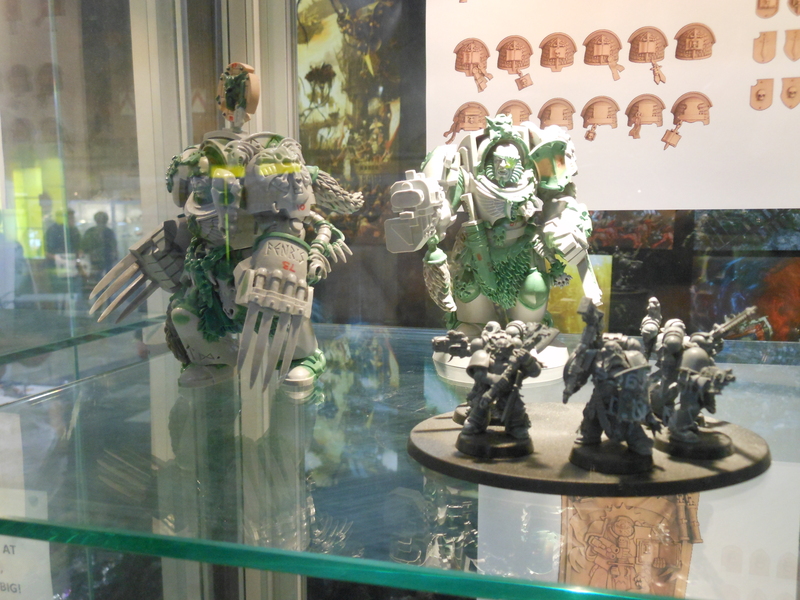 The models themselves seemed to be a mix of Super Scupley FIRM Grey and what looks like GW’s own ‘Green Stuff’. 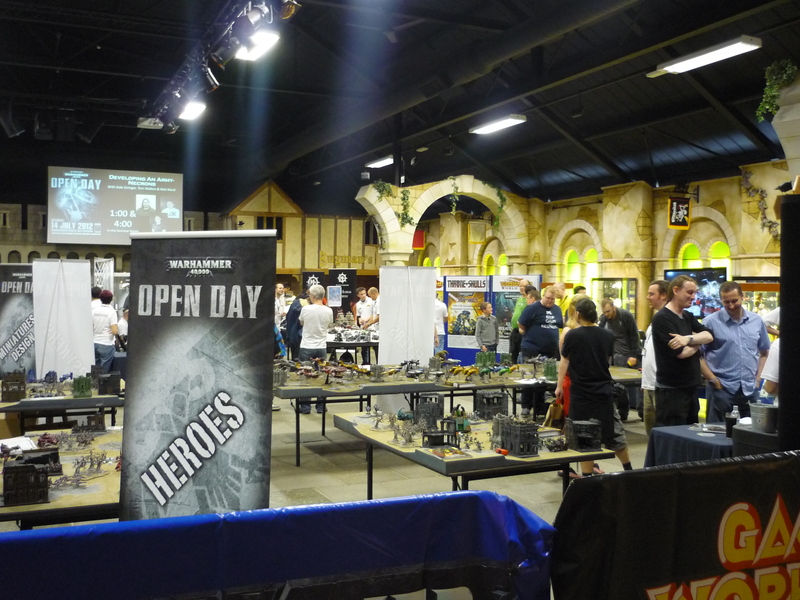 I then next moved on to find some of the people responsible for putting the 6th edition together, I knew Matt Ward would be at the seminar later and hoped I could get him there. So next over to the art area. My first conversation was with a young chap who helped put the books together. He’s one of them men who put all that time into making sure the text reads and flows well and fits into the space it has. Oddly enough he was there to help people with their painting skills. We talked about the new Citadel range of paints. He explained how it had all been put together which now makes total sense. You have the base colours and then all the highlighting layers available without the need to mix any. Plus the layering paints are also thin enough that you don’t need you use a thinner. I do also have the comment that the new Painting Guide book is excellent and very well thought about. Popped over the the FW guys and bought a copy of the new release Aeronautica and some artwork for myself. I picked up from the Black Library stall 3 limited edition prints. All by Jon Sullivan we have 2 of the 3 prints right here, sadly I couldn’t find the best one that I have and the pictures are crap. Another look around and then it was time for my friend and his youngest to go and take part in a sculpting and detailing miniatures seminar. I took his eldest and went into Bugmans Bar, ordered lunch and drinks and of course I had to have a Bugmans…. it’s ok, not great. Next up I looked around the Bugmans Shop and bought myself a hip flask. No real need for one, but just wanted one. After this half way point in the day and still a good 45 minutes until the Seminar on the ‘Rules design’ for 6th Edition, Liam and I headed up stairs to the hall of miniatures. Sadly though this is the end of this blog, if I go on any further you’ll die of boredom, so come back in a days for part 2. More info from various folks, a chat with John Blanche, chat with Matt Ward and a brief chat with Jerm Vortek. 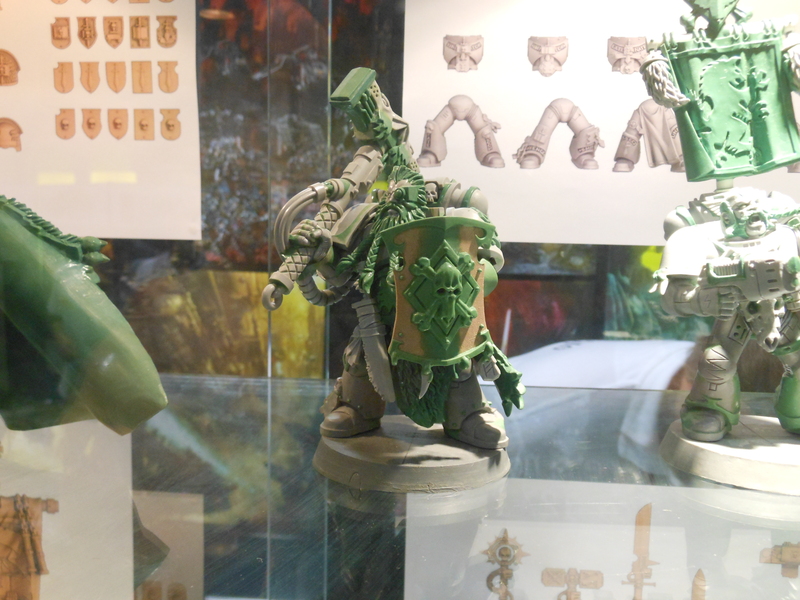 The Dawn of War, Day 6? 25 Years they say, has it really been 25 years since I first picked up Warhammer 40,000? 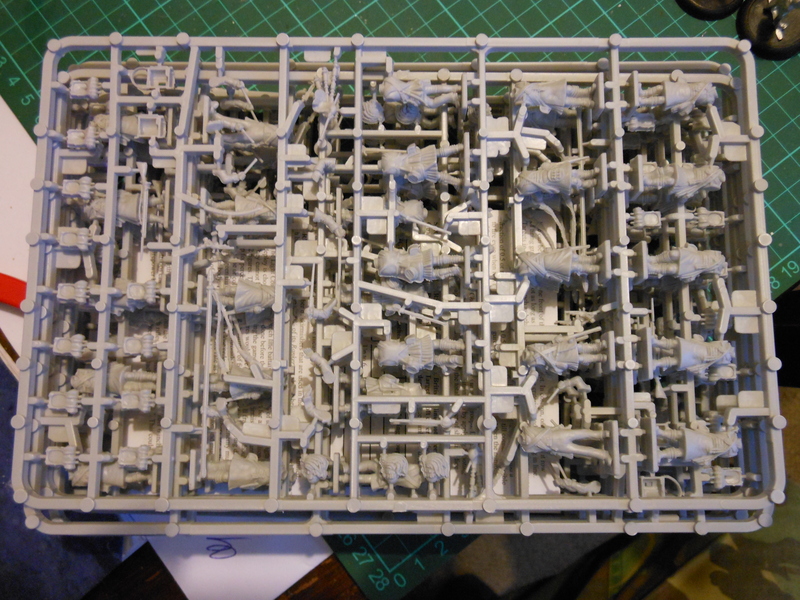 Then called Rogue Trader, that tome with the hardback cover all those pages of rules, drawings and some miniatures. I can’t remember much about it. I can remember building a Chapter and selecting the Space Wolves before GW went silly on them. No such thing as a codex, but plenty of support in White Dwarf. 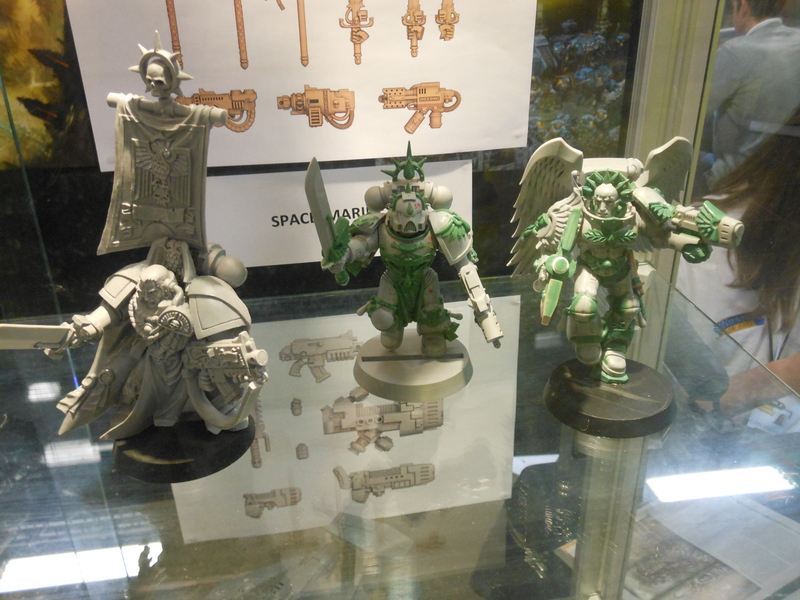 Good times, cheap figures, 2 Land Raiders in one box for £20 and plenty of drastic plastic beaked marines. 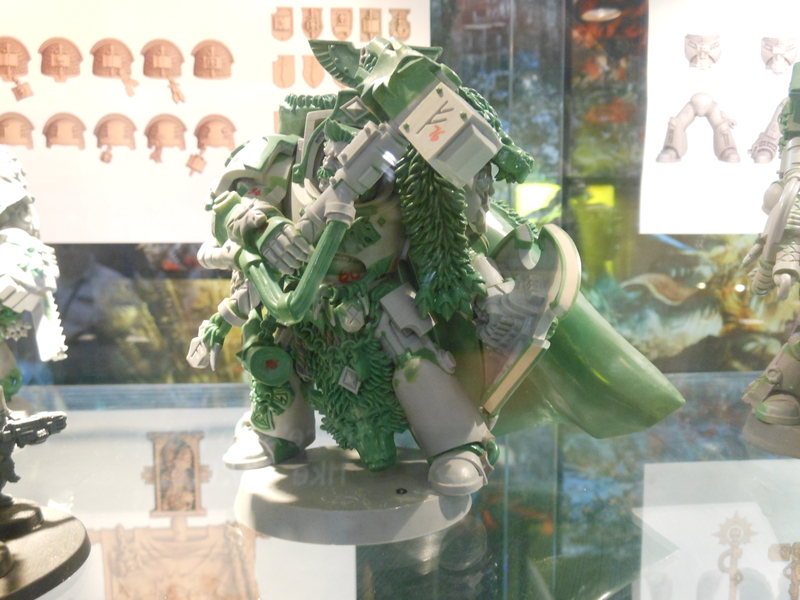 I though went Ork, picked up Waaarrggghhh the Orks and ‘Ere we go and built a bad moon force…. it was a shame what they did to the Dwarfs of Warhammer and I hope one day they return, return as Dwarfs are meant to be, short, strong and equally as stubborn. Not 100% sure is that answer, perhaps just an insight into how I think. I played 5th Edition, only lost 1 game (only played a dozen) (and only lost that to a cheating opponent – as I later found out) and as such I can’t say I’m an avid 40ker.. Yet when GW announced 6th Edition I thought they’d actually learn from the changing wargamming world (where there share is shrinking) and as it’s 25 years later we would probably see a very nice effort to make this edition special. Me being me, I bought the rulebook (from Wayland Games) and then went over to GW and bought the Collectors Edition. The latter was £80 and a lot for a book? Not really, i’ve seen books that cost much more that are half the size in pages, this is a collectors item and on Ebay I can already see them going for £300+. Here are a few images of the standard and collectors editions. So above you have images mainly of the covers, and more pictures of the various different coverings of the collectors edition. That edition comes in a box that’s all marked up, it’s then inside a slip case which has a gate fold cover. Inside the slip case is the rulebook and I have to say the quality of the book is excellent, well worth the £80 and for some worth over £300 already. I have plans though for it. 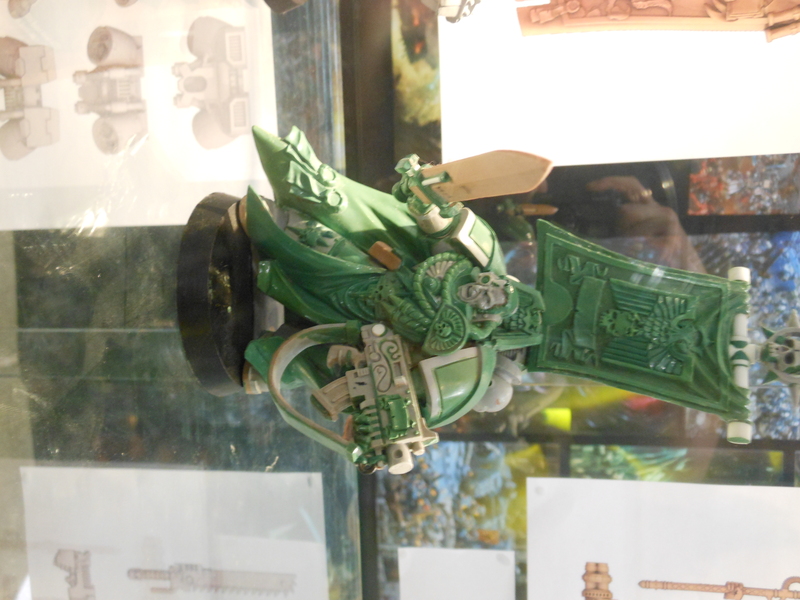 I’m going to go down to Warhammer World for whatever events with some friends and I’ll take it with me, ask to see if I can get it signed by any of the artists/writers. Some could say that’ll ruin it, I don’t agree. What do I think of the new rules? Not had a good chance to read them, I note the cover save still exists, which annoys me, since when does being behind a tree save me? 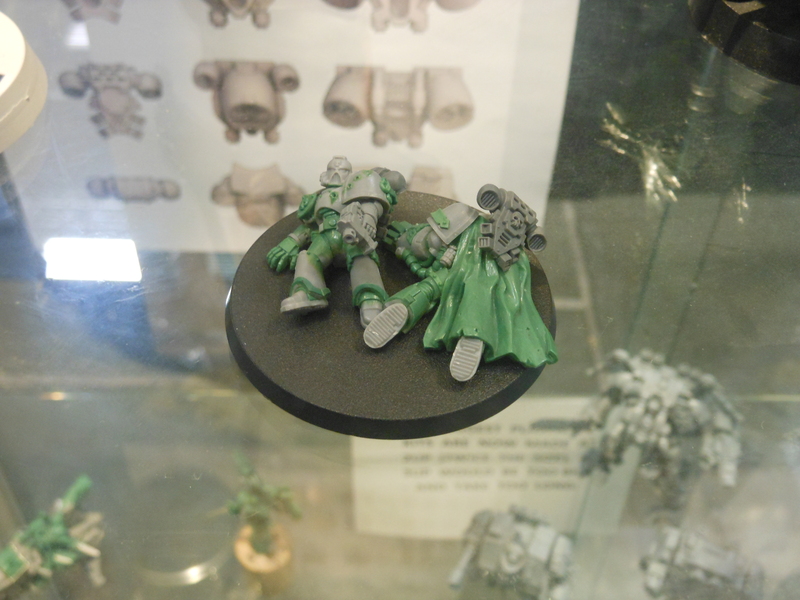 Surely it’s harder to hit me not hurt me if I’m hit….. vehicles have hull points and psykers have levels or somesuch. I’m sure over time I’ll ingest all the rules and decide what I think. 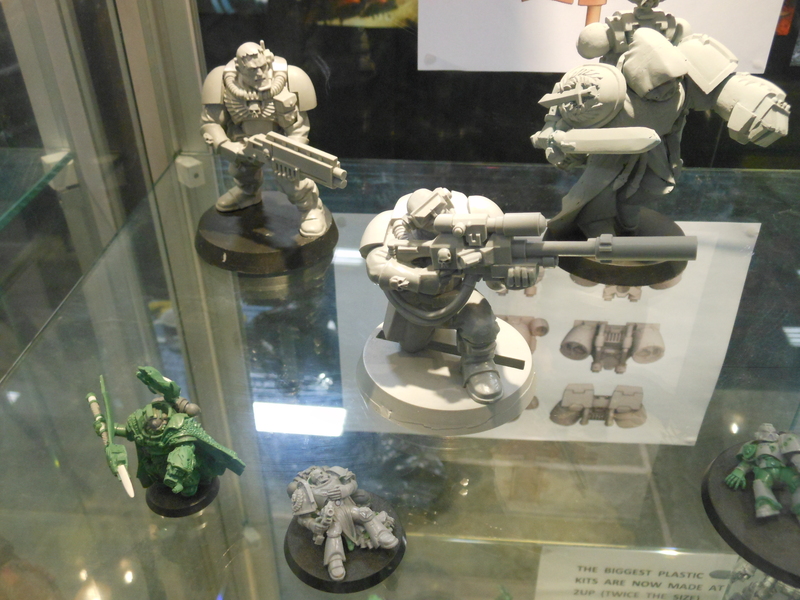 Sadly the Black Templar don’t get too much of a mention in the miniatures showcase, not even a full page, yet the sisters do, I wonder if this is the future for the Templars? I hope not, I want to finish painting my Templars at some point. Talking of painting, finally booked myself an eye appointment on Thursday morning, assuming I get my glasses by the weekend I should be able to start reducing my massive collection of figures. Anyway that’s enough for this post, 6th Edition, is it any better? To early to say, but no big changes, nothing about 25 years and perhaps a pointless upgrade, time will tell. So then, sent off this chaps a few weeks ago…..you may remember I mentioned that I was having these done in a an earlier post. And now I have them back and this is how they look now! A marked improvement don’t you think? I had these painted by Artmaster Studio after they did a test paint job for me on a Victrix 9dr British Artillery piece around a month ago and I was very happy with that. 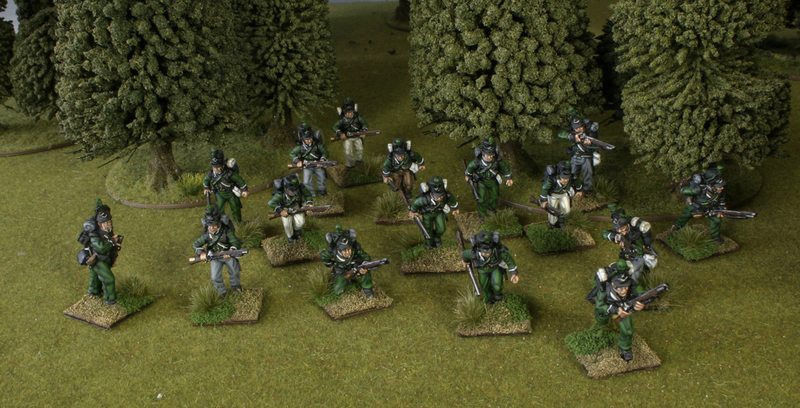 Well now that the first set of Rifles have come back (16 models), the second set of 16 have been posted and have already arrived. With a bit of luck I should have them back here for my next game of Black Powder on the 19th of this month. 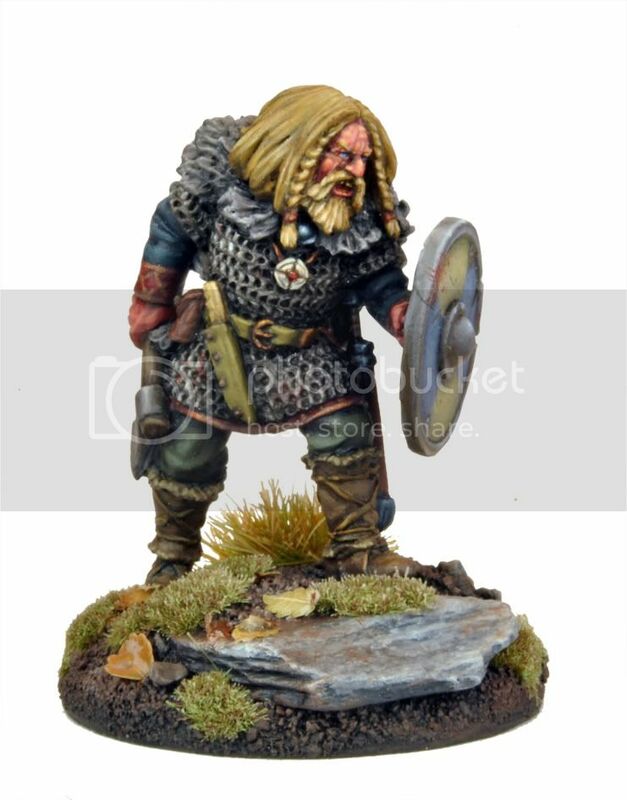 Getting miniatures painted for you is not cheap, but it’s quick. Well far quicker than I could possibly do them, I should though start to paint my own as I do have the skills, just need a new pair of glasses (yes even for 28mm). Let’s look at the cost shall we? £10 per figure (£1 off as it as a June Deal) with basing done for free and postage, so that’s 16 x £9 = £144. The next set of 16 will cost slightly more as the June offer has finished, but Toby has agreed to do the basing for free and as already agreed I’ll get the 10% off for a larger order. So it’s just the postage on top, which is 10% (minimum £10) which in my case will be £14.40. That’s rather steep I hear you say? Yes perhaps it is, however your figures arrive in a box fit enough for a regiment of any value, each figure is hand wrapped in tissue paper, then placed neatly into the box which is then padded so nothing moves about….. that’s worth the extra few quid.and Royal Mail requite £5.90 just for the next day special delivery – thieving goits they are. So what’s next when the rifles return? Well I’m going to build up 30 of these chaps and then send them off, ouch the cost? Well let’s just say that it’s 30 painted figures, so that’s £9 (discounted remember) x 30 = £270 + 10% P&P = £27 = £297. 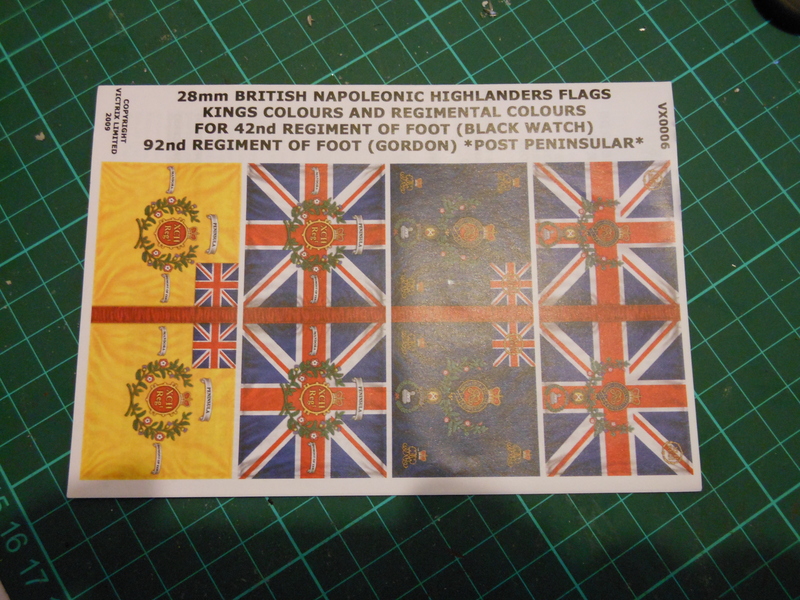 I think I’ll then send them the following 30 in August, hopefully for September completion, at which point I’ll have some of my own Line Infantry painted. Talking of which, when I first spoke to Artmaster Studio I did explain I would be painting some of my own and so I requested that I get the colours used so that I can match the colours (if not the style). This is the list of colours that Toby has said he uses (for base/highlights), and for reference these are all Vallejo paints, bar the Boltgun Metal which is GW. I have some of those paints, but I’ll pick up the rest at my next trip into town. So watch this space. Seems (and I hope so) that I may have a friend in Peterborough who wants to play some Black Powder, i’d love to play more of it. Anyway tomorrow I’ll make another post, seems some expensive rulebooks have turned up that require my attention….